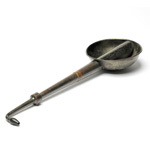 The internet has opened up public auctions to a worldwide audience. 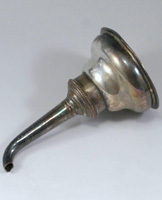 Some sellers are ignorant, others intend to deceive which means that care must be exercised when buying antique ear trumpets. In addition there are a large number of items that were sold in Victorian times which did not work, this trade has never really died out. 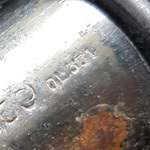 When I see an item up for auction which is improperly described (see fakes), I respectfully suggest to the seller that they might want to correct their listing. Responses vary between 'thank you very much, I will update the listing' and 'mind your own business' ! 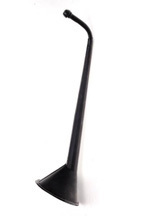 If you put the small end of a 6inch diameter funnel in your ear and test it for an increase in noise level, you will certainly find that it works rather well - but we all know it was never intended to be an ear trumpet and is probably newer than claimed. 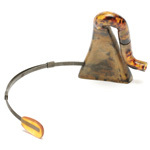 The item earpiece is an important consideration - if it isn't clearly designed to fit in the ear - it is probably wrong. 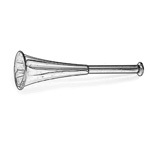 Ear trumpets typically have one end shaped to be stuck in the ear without discomfort. 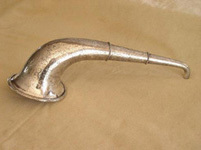 Some have an added earpiece made out of a non-metallic substance. amber or ceramic. 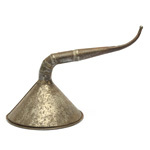 Pinards have a flat earpiece to be pressed against the outside of the ear, as do monaural stethoscopes. 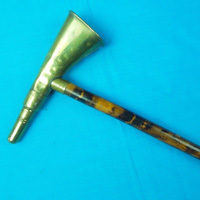 Some ear trumpets also have a wide, flat 'earpiece'. 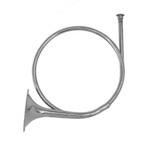 Horns (bugles, trumpets or hunting) are designed to be blown and make a noise by pursing the lips in the mouthpiece. 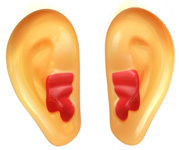 Usually these are cup shaped and would be very uncomfortable stuck in the ear. 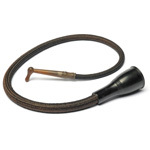 Whistles (beater's horns, train horns, harking horns) are also designed to be blown. 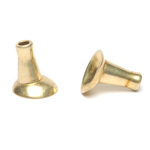 These have a rounded mouthpiece that is not uncomfortable in the ear, even if a bit large. Finally check that the 'earpiece' has actually got a hole through it ! 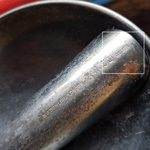 This is the thin end of a drinking vessel. 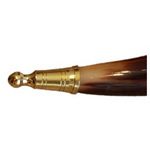 You may see powder horns as well. 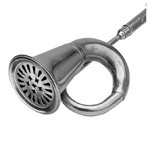 Be very wary of trumpets which appear over cleaned. 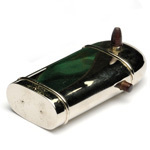 Items which have been re-soldered are sometimes over polished to mask the restoration. 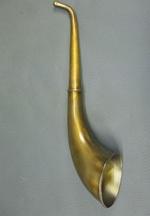 Rare trumpets can be excused reasonable signs of age. I buy unusual items as long as the condition permits one to know what it looked like originally - hence some quite damaged conversation tubes. Sometimes there is a sellers intent to deceive, others it is just plain ignorance. Rarely does one see genuine provenance. 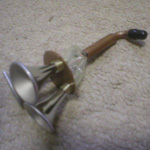 I have one horn that had an owners note inside. 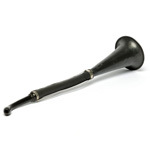 Assertions that an item was 'grandpa's ear trumpet' means nothing. The fact that it appears to work is irrelevant. It seems experience and looking through old catalogues are the best source of an object's validity. 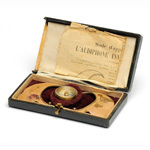 One should avoid terms like 'attic find', 'collectors item', really 'artistic' piece etc.etc. 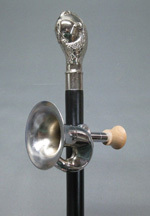 with whistle horn £150 ? 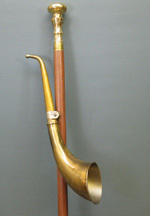 with ear trumpet £2500 ? 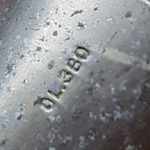 The banjo on the left is labelled OL331. The auctioneer cited OL351 (a London dome). On the right the telescopic 2pc is marked OL360, the auctioneer reported OL380 (a con tube). from 1880 - £200 ? aid - £500 or more ? post WW2 at £35 ? They moved there in 1916 ! 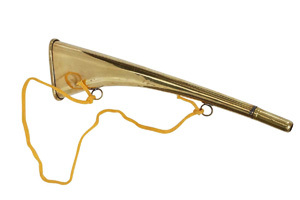 As soon as the bulk manufacture of ear trumpets started around 1850, fraudulent devices started to appear. 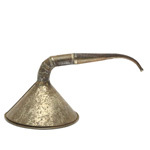 The Victorians were susceptible to quack devices. Quack items are still being offered on EBay today. otherwise useless ! 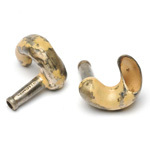 Painted silver ear tubes. Current day quack item. Prices offered on auction sites like EBay are prone to ridiculous inflation. 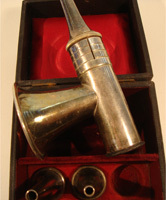 If an ear trumpet is listed as an auction item typically starting at 99p then it will almost always sell at a market price. 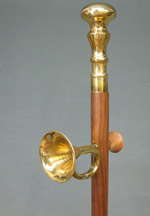 Sadly sellers who are ignorant about real market values are offering trumpets at very high prices on a buy-it-now basis. Some of the items listed on EBay have been there literally for years because they are over priced. In some cases I have tried to buy an item by offering a sensible figure only to get a rude refusal or sometimes not even a reply. The situation in 2018-19 is especially bad because one dealer bought a small collection for too much money and is trying to sell at a profit. Others view the offers and assume that they reflect market values. 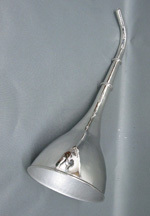 A recent example was a pair of 1950's NHS auricles priced at £180. They are really only worth half that. I was turned down at £100. Almost always when an item is sensibly priced but an offer will be considered, I have managed to secure the object at a fair price. 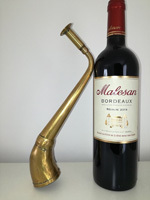 If I am offered a trumpet in a private sale, I always try to be generous and bid a few pounds above what I believe to the market price. Recently I have seen a lot of reproductions, mostly made in China? Pakistan?, sold in Europe through two German companies. 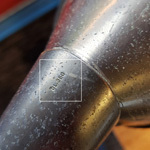 The picture on the very left was published on EBay in 2018. It nagged me for months. The style is unknown and it just did not feel 'right'. I kept looking at the solder trail which forms a diagonal line across the tube. Finally I realised the item had been repaired and the tube incorrectly positioned. 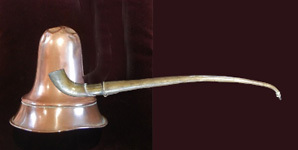 As a 'Large Dome', the bell shaped horn is usually constructed like a London Dome. 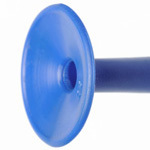 The tube goes through the bell wall and up into the closed end of the dome. The diagonal piece of surface solder completely confirmed my realisation. The lucky seller got £76.13 and the unlucky buyer may have a bodged item that never existed in real life !! The picture the left shows my buyno 61 which has a distinct bulb at the 'earpiece' end. I could not find a purpose for this unless it was an earpiece. I believe that the item was home made - probably on a farm in some remote part of the USA. When found it was broken in three pieces and the finder re-soldered the parts together incorrectly without realising that the earpiece should be rotated similar to the picture on the right but with the earpiece further rotated towards the camera. 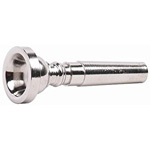 For a long while I have wondered where all these horns with vibrating reeds in the mouthpiece would have been used. This one has a round horn aperture. 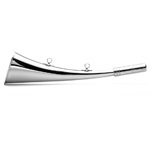 Also in researching pictures I found a reference to a 'beater's horn (known in the USA as a 'harking' horn. 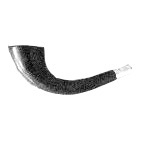 I have also seen them described as a newspaper vendor's horn. 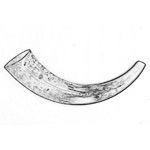 This one has the often seen flattened horn aperture. Very common at auction and boot sales. Brand new ones come from Pakistan.